Manuel G. Saldaña, 39, of Andrews, Texas passed away on Wednesday, February 7, 2018 In Springfield, Missouri. Family and friends will gather to celebrate his life at 2:00 PM Monday, February 12, 2018 at La Nueva Jerusalem Church with Pastor Isai Garcia officiating. Interment will follow in the Andrews North Cemetery under the personal care of McNett Funeral Home in Andrews. A prayer service will be held at 7:00 PM Sunday, February 11, 2018 at La Nueva Jerusalem Church. 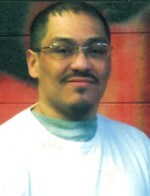 Please celebrate the life of Manuel By visiting www.mcnettfuneralhome.com. 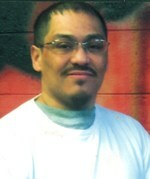 Manuel was born on May 31, 1978 in Andrews, Texas to Alejo Saldaña, Sr. and Adelaida Gallegos Saldaña. He loved spending time with his daughter, nieces and nephews and all family members. Manuel enjoyed barbequing, playing poker, and attending poker tournaments, volleyball, and watching football. Manuel also enjoyed camping and fishing. All the kids knew him as Tata and loved him very much. He was preceded in death by grandparents, Josefa Saldaña, and Valentin Gallegos. Manuel is survived by his daughter, Pamela Saldaña of Andrews, Texas, parents, Alejo Saldaña, Sr. and Adelaida Saldaña of Andrews, Texas; grandmother, Filiberta Gallegos of Andrews, Texas; two sisters, Diana and husband Michael Palma of Andrews, Texas and Dina Saldaña of Andrews, Texas; one brother, Alejo Saldaña, Jr. of Andrews, Texas; nine nieces and five nephews. To send flowers to the family of Manuel G. Saldaña, please visit our Heartfelt Sympathies Store.